Attending Oceanology International Americas in San Diego? 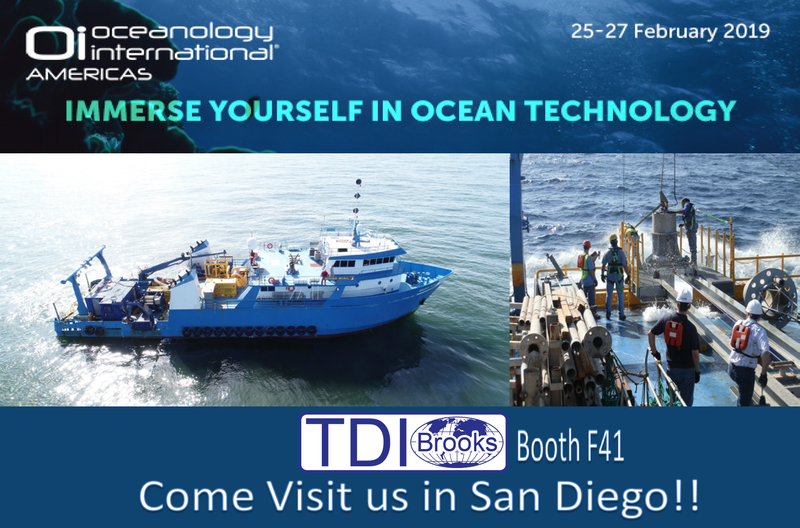 Plan to come by the TDI-Brooks’ booth at F41 to learn about our various services and the whereabouts of our research vessels. TDI-Brooks International is a research and service company specializing in geotechnical and offshore survey projects, high-end environmental chemistry; multi-disciplinary oceanographic and environmental projects; surface geochemical “seep-hunting” exploration and heat flow. TDI-Brooks and B&B Laboratories, an affiliate of TDI-Brooks, is owned and operated by world-renowned geochemists Drs. Jim Brooks and Bernie Bernard in College Station, Texas. TDI-Brooks operates all of our vessels on the spot market for various research and oil company service projects. All the TDI-Brooks vessels are outfitted for our market niches of seep hunting, survey/MBES, geotechnical and environmental sampling and cable route surveys.